The recent government rules on keeping chickens in / away from migrating birds which might be carrying H5N8 bird flu – has made me do something I have intended to do ever since we stopped keeping goats. 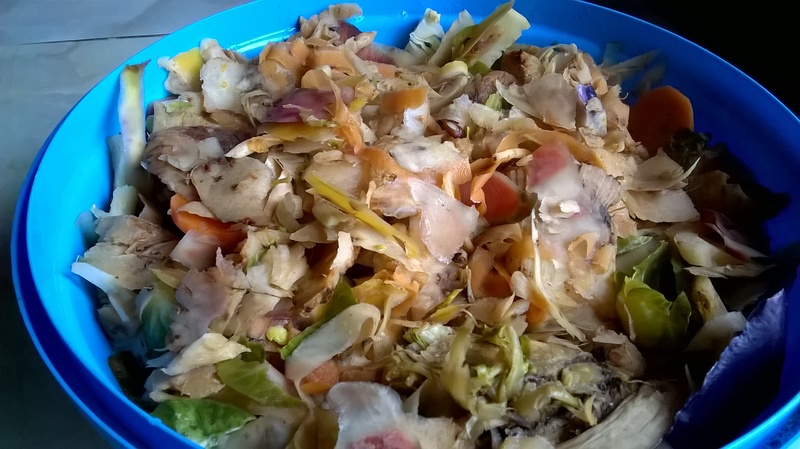 When you mainly cook from scratch and grow a lot of your own veg, and buy the rest from local sources, you end up with a lot of peelings. Especially when you like to have a lot of different types of vegetables with each meal! Now this was never a problem when we had goats – there was always the bucket for the edible scraps for the goats and the bucket for the compost heap. The latter generally only had onion skins, citrus skins and teabags in – judiciously mixed with torn cardboard loo-roll tubes and such stuff. 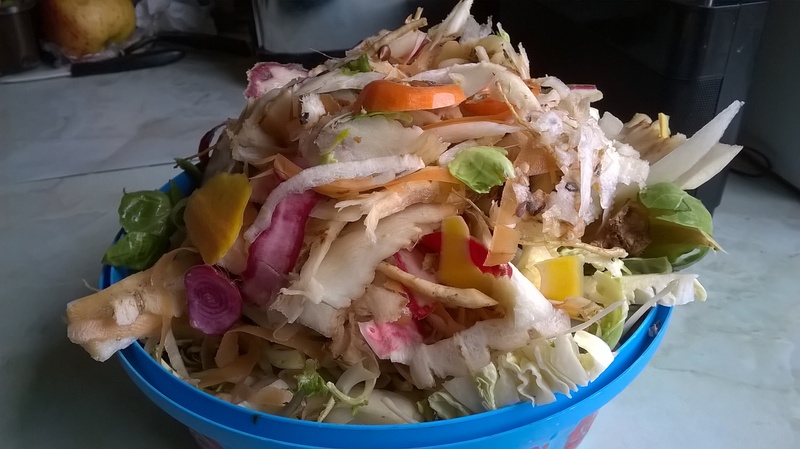 When we sold the goats, prior to putting our beautiful house on the market, the vegetable peelings joined the compost bin . 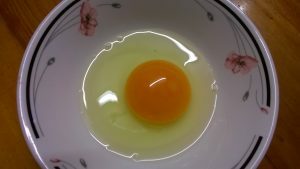 . . even though I kept saying to myself that I ought to prepare them for the chickens. With the chickens compulsorily being kept in closed-off quarters I eventually did something about it! I first found that if you just give raw peelings, toppings ‘n’ tailings, outside leaves etc to the chickens they will peck at it … but they will not clear it up efficiently … for that you need to give it a light cooking. So, after I have cooked and served-up our meal I now drop the whole pile of peelings into the largest pyrex bowl I have already used (in cooking the meal) and pop it in the Microwave for 10 minutes. When it is cool I put it back into an old bowl (or a re-purposed sweet tub even) to take out to the chickens. They love it – especially with the odd soft apple, from the apple store, sliced up in it too. 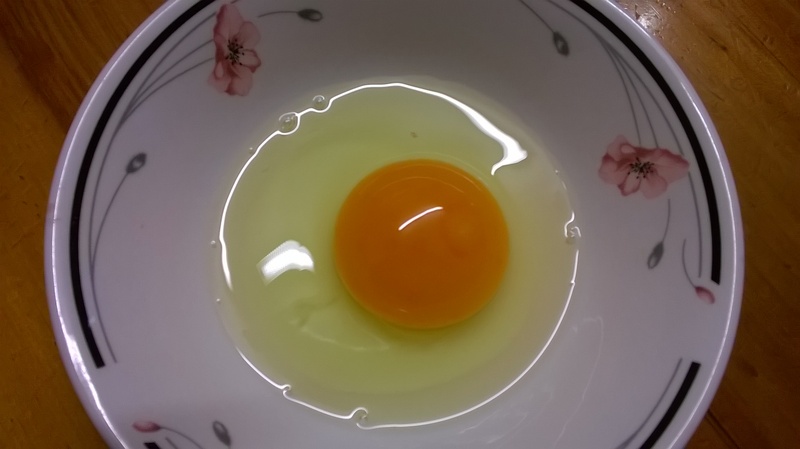 AND as a bonus, now they are back out on the grass and getting the extra veg-peelings regularly too, we now have the deepest yellow yolks going – yes even darker than usual – and that was pretty good anyway – and yes – this is the actual colour – it is not a trick of the light. So we get to eat tasty, rich, healthy eggs and I get to feel even better now that the peelings are being used properly again. What do your do with your veg peelings? Are you a chicken keeper?